A geographic information system (GIS) integrates hardware, software, and data for capturing, managing, analyzing, and displaying all forms of geographically referenced information. GIS allows us to understand and visualize data in ways that reveal relationships, patterns, which can be integrated into any information system. Geospatial data, GIS data or geodata has explicit geographic positioning information included within it, such as a road network from a GIS, or a geo-referenced satellite image. Geospatial data may include attribute data that describes the features found in the dataset. 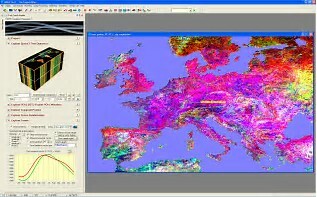 The GIS information presented in the form of maps, globes, reports or charts have now evolved in linking a number of discrete technologies. It has emerged as a powerful system and has served an important role as an integrating technology. As more and more end users grasp the potential benefits of integrating geodata into their application, the GIS market continues to expand and should continue to do so (with impressive revenue growth) in the coming years. Some of the basic implementations of GIS include: urban planning management, environmental science, civil engineering utility; other businesses and market dynamics. The volume of geospatial data from various sources is growing exponentially, driven by new technologies and platforms. As discussed in a new ARC market research report, growing demand of industry-specific GIS applications results in increased development of better applications. The report discusses the major trends of GIS and its crucial role in geoengineering. Thanks to geographical access in the Cloud, users can now develop more intelligent building information models (BIM) to support engineering projects. The report also discusses the current size, segmentation and the future growth of the GIS market, looks at the major suppliers, and provides success strategies to address the growing need for technological breakthroughs in location or spatial data.